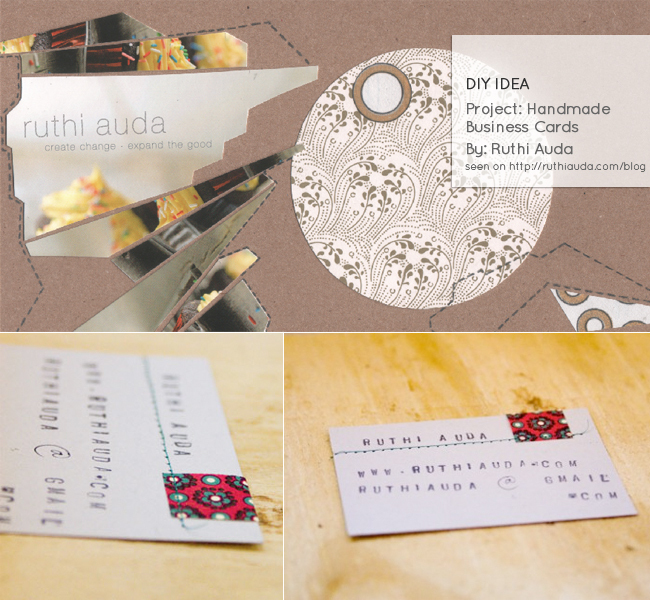 Ruthi Auda is insanely creative, she does art installations for Anthropologie - need I say more?? Ruthi, thanks for giving me a very much needed kick in the arse. I love your DIY business cards and you've inspired me to come up with something a little more inventive than stamping my logo on a white piece of paper (hides in shame). Simply brilliant...really adds a whole new feel to the business card! Uber creative! I love them! Super cute idea! that is so cool! way cool. so what do your business cards look like?